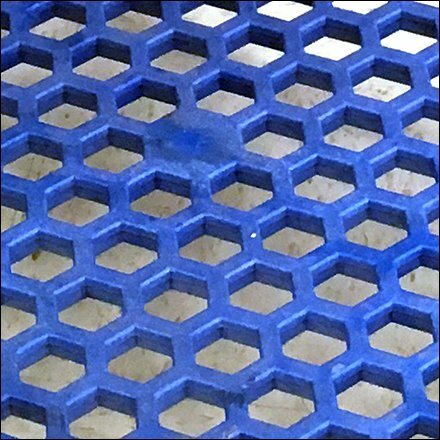 This Twin Tier Shopping Trolley With Hexagonal Decks features hexagonal, honey comb materials that are visually interesting. I don’t know specifically of any advantages to the design, or if it shops better or worse. I leave that to you dear reader. Just don’t let a limited imagination limit your retail outfitting. This Twin Tier Shopping Trolley With Hexagonal Decks seen at Walmart.